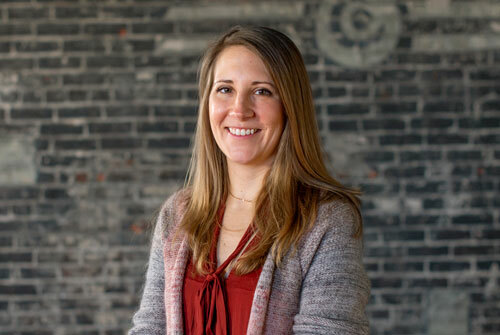 Dial Archive | Dial | OLG Welcomes Annie Syrowski | One Lucky Guitar, Inc.
Fort Wayne, Indiana—One Lucky Guitar, Inc. (OLG) announces that the agency has hired Annie Syrowski as creative project manager. The addition to OLG’s team reflects the agency’s continued commitment to providing diverse, strategic services to its clients. Syrowski earned her master’s degree from the University of Illinois and her bachelor’s degree from the University of Dayton. For the last five years, Annie worked in project management and consultation in the software/marketing industry in Chicago. One Lucky Guitar, a Fort Wayne-based boutique creative agency, was founded in November, 2000 and specializes in branding, advertising and marketing, digital and video services, and event development. Clients include Ambassador Enterprises, Arts United, Ash Brokerage, Biggs Group, Carson LLP, Foellinger Foundation, Lutheran Health Network, Matilda Jane Clothing, Middle Waves Music Festival, Riverfront Fort Wayne and Zimmer Biomet.